Bob’s friendship with Chris Bianco started years ago at the Town & Country Farmers’ Market over a tomato. It was because of said tomato that McClendon’s Select started selling to restaurants, or at the time, restaurant. Pizzeria Bianco was our first restaurant client. Since that first tomato, we have grown and expanded and now work with dozens of the best restaurants in the Valley. Chris Bianco’s business has expanded over the years as well. 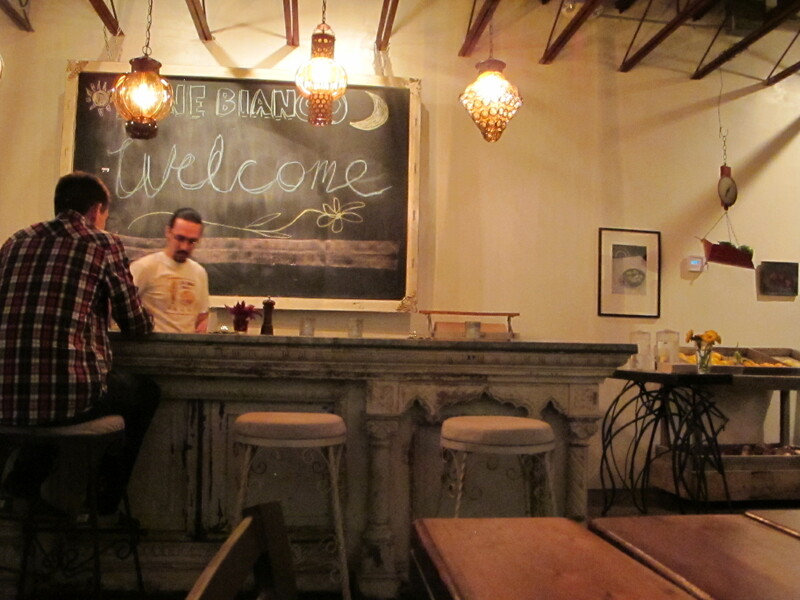 We saw Bar Bianco open, and then Pane Bianco. He has collaborated with Jaime Oliver on Union Jacks in London and has opened Cocina 10 with Doug Robson from Gallo Blanco. It has been quite a ride for both Bob and Chris since that first meeting. Sean and I had been diehard fans of Pizzeria Bianco’s long before that meeting. 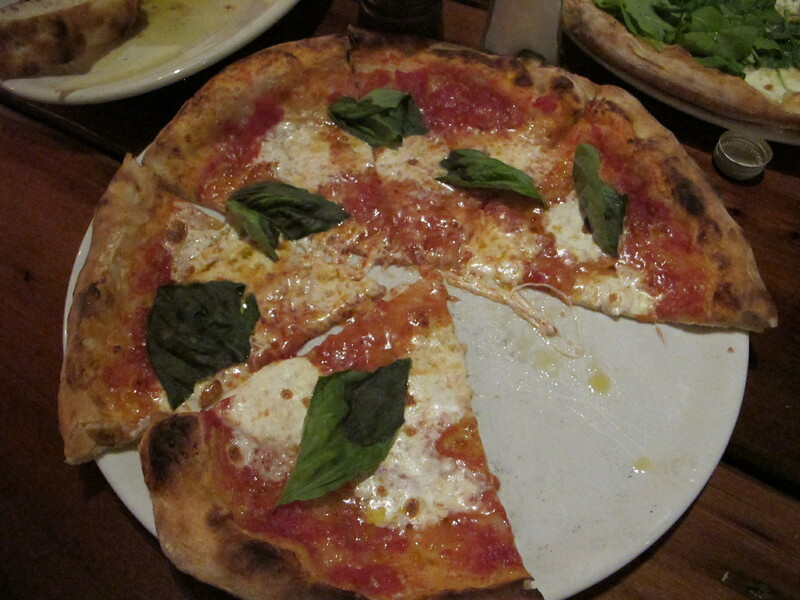 We had gushed about Pizzeria Bianco’s to Bob, although I don’t think at the time he truly understood our fanaticism over a pizza. He would shake his head at the craziness of people lining up for hours, no matter the weather, for a pizza. It was after meeting Chris, Bob came to see why there was such a fervor. He also saw in Chris the same passion for food that Bob has, a passion about food in all stages, from the ground to the kitchen to the table. In many ways they are kindred spirits from different places on the culinary spectrum. Now having lines of our own at the markets, with customers congregating before we open, we have a new perspective. Long lines of customers are both a blessing and a challenge. We have had to constantly rethink how we do business while keeping our standards high and our focus unchanged. Chris has been doing the same. 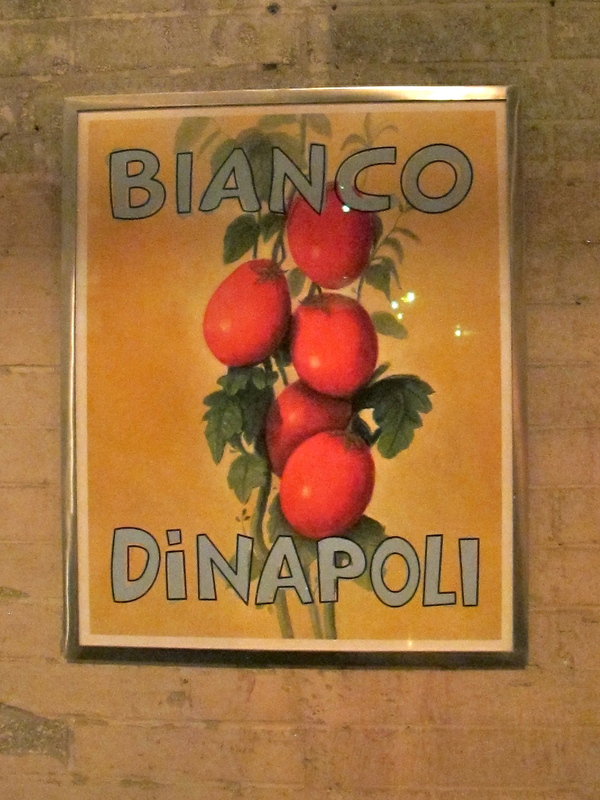 Chris Bianco’s lastest venture was the expansion of Pane Bianco into the space formally occupied by Lux. 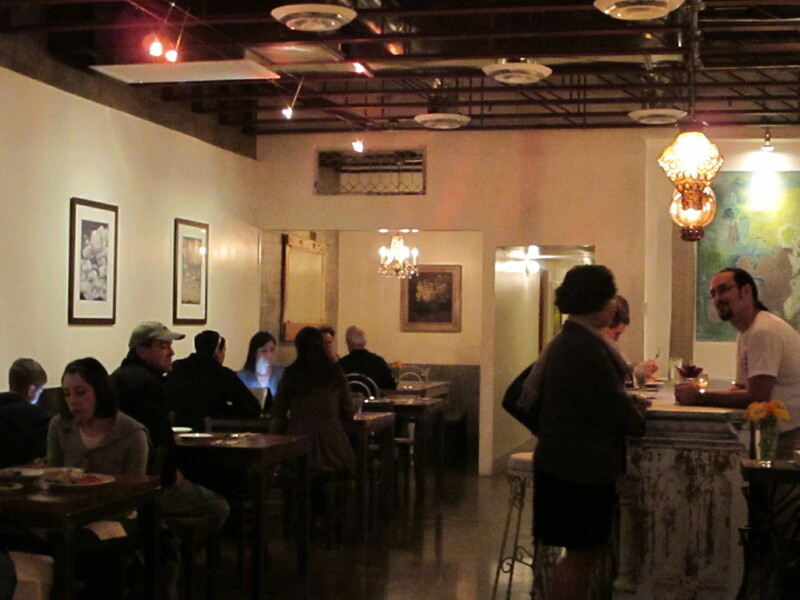 The former coffee shop has become the dining room for Pane Bianco. Their menu expanded some time ago to include some of Chris’s famous pizzas. With the longer hours at the pizzeria and many of the old favorites now at Pane Bianco, it is now possible once again to just go and enjoy Chris’s magical pizzas. All of the hungry frustration that used to come with the line that started outside the pizzeria is not to be found. As a former regular that had been reduced to only steeling myself for that line once every few months, I used to be both happy for Chris while quietly bemoaning all of the accolades bestowed on him in the national press. It was killing the patience of his local fans. But seeing that the expansion of Pane Bianco had opened was an article felt like truly good news for the diehards, like myself. 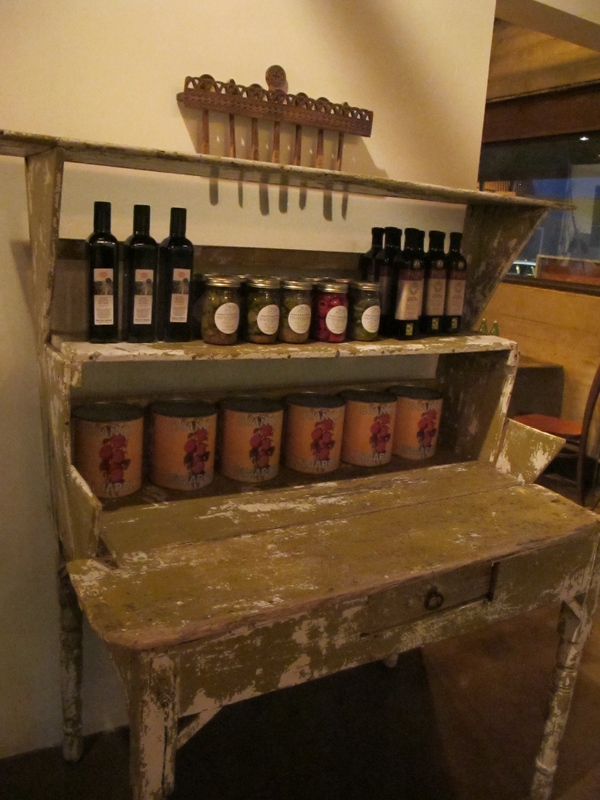 The newly renovated dining room at Pane Bianco feels like the old Pizzeria Bianco that I loved so much. The one where you could drop in, find a table and order the pizza you had been obsessively craving all day, without having to plan it like a military maneuver. In fact, that is exactly how we decided to go. At the last minute, on the way to take Aidan to Zoolights, Sean and I thought we would stop by and grab a bite. To our delight, we did, spending less time ordering, sitting and eating than we used to waiting in line. Less by about two hours. The dining room feels exactly like the pizzeria and bar do, like you are sitting in a friend’s home. 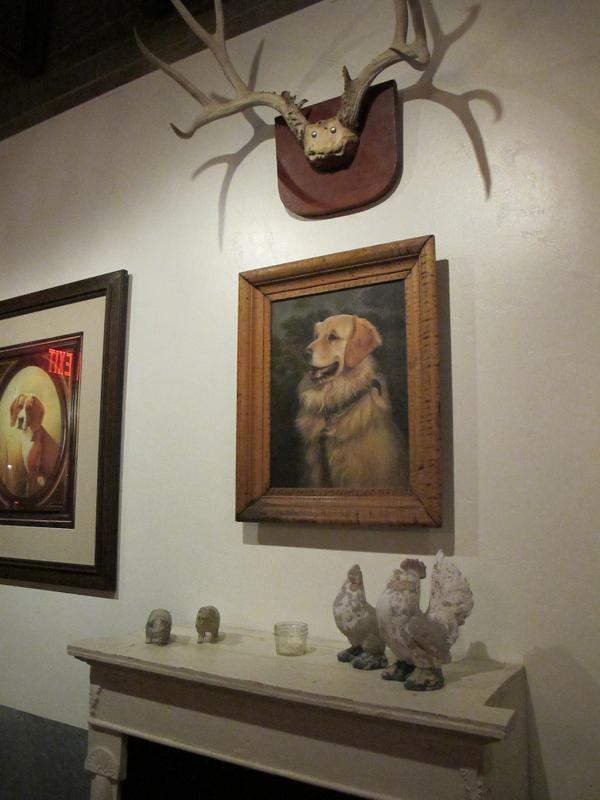 The walls have artwork from Chris’s father, along with landscapes, antlers and the same familiar bric-a-brac that we all collect, the little articles that define a person. You feel like you know Chris a little better just by looking around. The new space feels light and inviting. After spending so many happy moments in that same room when it was Lux, I realized that I would do so once again in this new incarnation. There must be some good karma in those walls. We were pleasantly surprised to see Chris sitting at one of the tables. After seeing him greet customers for so many years from behind the counter, I think he was relishing getting to be among the tables and personally welcoming people in. After warm hugs and congratulations were shared, he was even kind enough to serve us the pizzas himself. He seemed happy and relieved that his customers could just come in and enjoy the food that he loves to create. And, as for the pizzas, they were exactly as remembered, simply perfect. They were untouched by the changes, maybe made even a little better because of them. P.S. If you haven’t tried the new canned tomatoes, Bianco DiNapoli, that Chris is selling at Pane Bianco, well, now you really need to get down there. As I can attest, the guy cares about tomatoes. They are excellent! That’s so awesome! What a great story! Perfectly said – the Bianco’s just add value to Phoenix. Had dinner there last night. Our family was in town for the holidays. 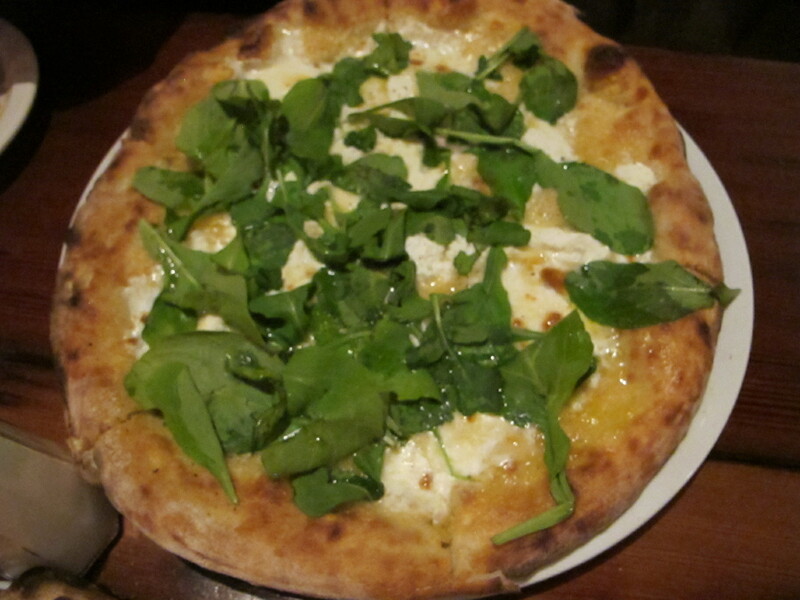 We were so excited to get to have your wonderful pizzas with all of McClendons fresh veggies. Thank-you, service was amazing. So friendly and accommodating.